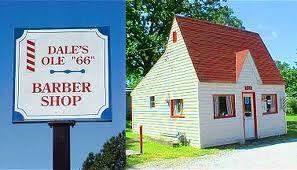 Dale's Old Route 66 Barbershop (formerly a Phillips Petroleum filling station) is located at 2312 Utica in Joplin, MO.) Visit the Photos Link. The Satellite image shows the filling station, the cottage, 2 storage barns and a nice green lawn that can be used for group parking. 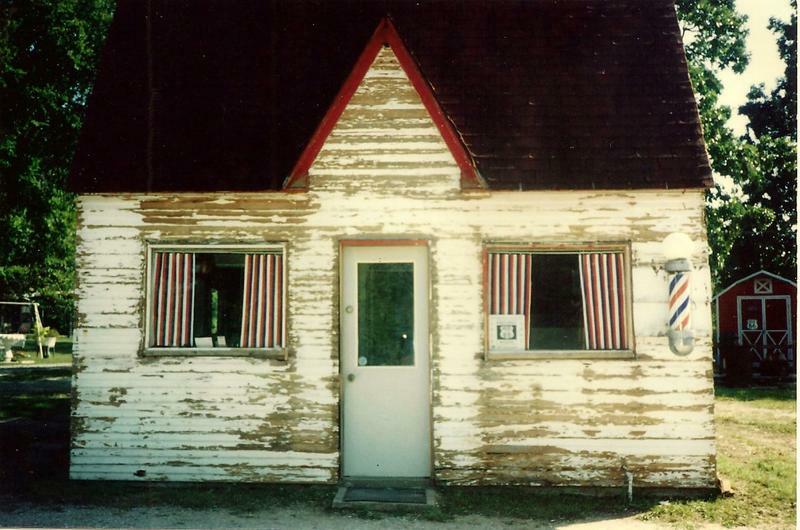 Other images show the station circa 2001 before the 'new' vinyl siding went on, and it is in excellent restore-able condition. We need help to make this happen, so look for our 'Go Fund Me' link below, and also on the Route 66 Chamber of Commerce website, Visit66. The popularity of the automobile at the beginning of the 20th century created a whole new culture for American citizens. Before the advent of the automobile, tourists were forced to follow strict timetables and schedules, which determined where, when and how fast to travel. Auto touring literature at the time described automobile transportation as a revival of the stagecoach and carriage travel. According to writers in the field of automobile travel at the time “railroads … robbed the roads of the picturesque and free means of travel [by stagecoach and carriage] and nothing took its place until the dawn of the motor car”. The railroad entry into a town was often industrial in view showing the most unattractive parts of the town as a first impression, but automobile entrance into a city was through the pleasant and reassuring view of Main Street with its locally owned businesses. A 1926 article encouraged local towns to beautify the highway entrance to their town claiming “a nice, clean or even artistic entrance on the highway entering the city” creates a good impression of the character of the people that live there. In addition, “the auto traveler not only comes to the city but he passes through; his acquaintance …is longer and more intimate, and therefore his impressions are more lasting. Consequently, the highway entrance is fully if not more important than the railroad entrance to our community”. By 1920, there were over 250 named trails throughout the United States and about 100 trail organizations existed to promote good roads. The automobile strengthened both provincial and national ties as the 'See America First' movement swept the nation. In order to generate publicity and money, many organizations boosted trails on the ideal of nationalism – automobile travel as a form of “ritual citizenship” and patriotic duty. The named trails helped promote a national unity and a sense of a shared national history. Travelers were able to experience and authenticate American history through travel on these trails as well as slow down and enjoy the process of traveling. The National Park Service promotion of roads helped make auto touring a process rather than a product. 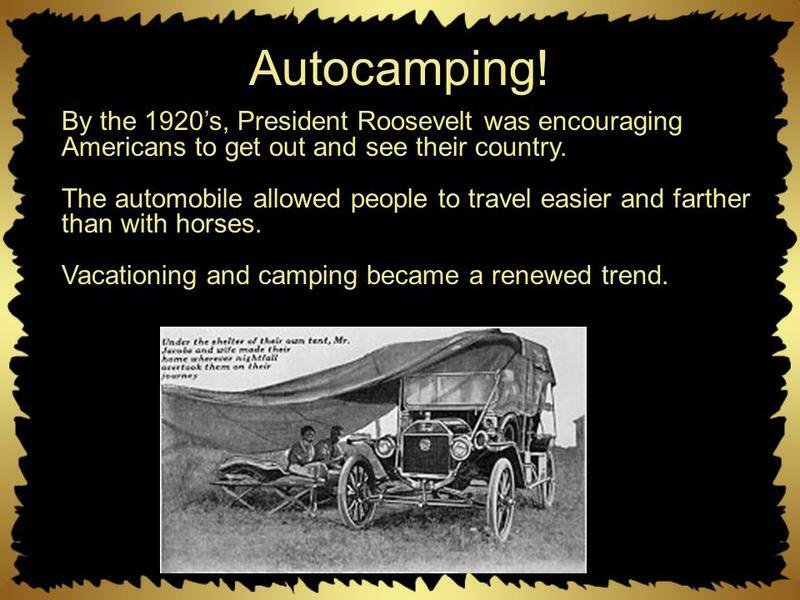 The process of auto camping was also called: motor gypsying, motor hoboing, nomadic motoring, gypsying deluxe, auto tramping and motor vagabonding. In the 1920's, The Shamrock Inn Tourist Camp & Cafe in the Royal Heights neighborhood, served travelers until and after Route 66 was designated in 1926. 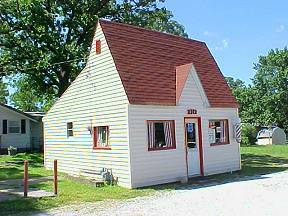 Three cabins were added and a few years later, the Phillips Petroleum 'Cottage-Style' filling station was built....making this corner a "full-service" location for travelers on the Mother Road! 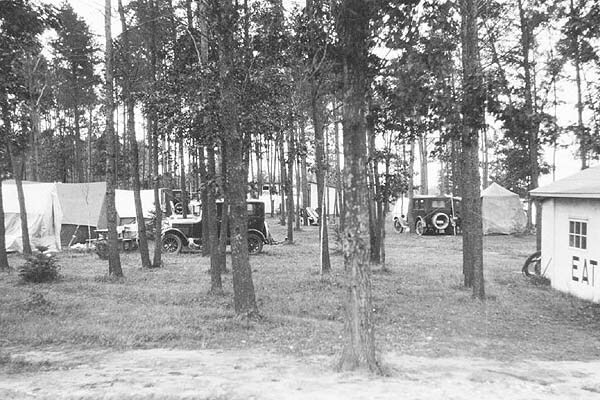 Both the Shamrock Inn and Schifferdecker Park were in Joplin before Route 66 was commissioned, and after Route 66 came through town, they continued to be popular stopping off places for the traveler to "Auto-Camp". Also at its peak, was Joplin's Interurban Electric Trolly System company that operated a huge fleet of streetcars and 94 miles of tracks in three states,.... but its days were numbered. As private ownership of motor vehicles increased, railway patronage dwindled. In 1925, the company began running passenger buses and phasing out its streetcars. The path of the Trolly's from Joplin, past-by the Shamrock Inn property on it's way to-and-from Webb City and points East. Today, the remains of the Shamrock Inn property has shrunk in size, and now rests in the nice, quiet subdivision called Royal Heights, and hundreds of Route 66 fans still pass-by every week! Restoration has begun, so stop in for a visit!